This is the part of spring training that is slow. The excitement of baseball being back is now a steady stream of pictures of pitchers throwing, and players stretching, so here is a video of Kris Bryant hitting HR’s from last year. Cubs start playing games against other teams on March 5th, we will have recaps, and everything else that is available from those games, getting close. One of the many bright spots from last year was Hector Rondon, a guy the Cubs essentially got for free (rule 5 draft pick). There was some speculation heading into camp that newly acquired reliever Jason Motte would challenge the incumbent Rondon for the spot, not a chance Maddon says. “He did close last year, didn’t he?” Maddon said “I ended my sentence.” Maddon had more sentences, “Mr. Rondon looks like he’s going to be pretty darn good here, but from my perspective, it’s about high leverage situations. I like to be able to match up. Matchups aren’t necessarily left on left or right on right. Today’s game presents a lot of reverse split-pitchers or neutral guys. That’s a typical Joe Maddon quote. Match ups, different situations, who has been good, who hasn’t, Joe Maddon 101. I do like hearing that Maddon is committing, as much as he can, to Rondon right off the bat, leave nothing to the imagination and get it out of the way early. There really is no good reason not to, Rondon has absolutely earned the chance to close this upcoming season. 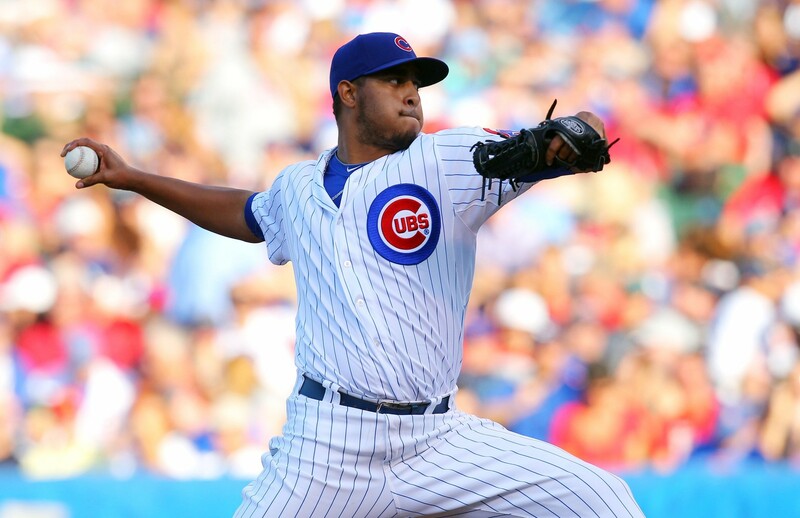 Last year saw Rondon explode onto the scene as the Cubs closer, he appeared in 64 games and registered 29 saves. Rondon’s command was outstanding and his velocity was reaching high nineties late in the season as he seemed to get stronger. The 26-year-old had a 4.20 K/BB ratio while sporting a tasty 2.26 FIP, and a 1.5 fWAR, if he comes anywhere close to those numbers this year….yikes. I think other guys will get chances this year, maybe more so than usual but that’s just Joe Maddon, right now there is no mistaking who the 9th inning guy is. The speculation surrounding the decision of James Shields has reached a fevered pitch, and he is expected to make said decision before the end of the day today (Per reports on the twitter). In the past few days the Cubs have entered the fray as being one of the teams that Shields is considering, along with the Padres, who seem to be the favorite. Here’s the thing about Shields, do the Cubs actually want him, and does he make them better? Let’s break down some of the factors here. 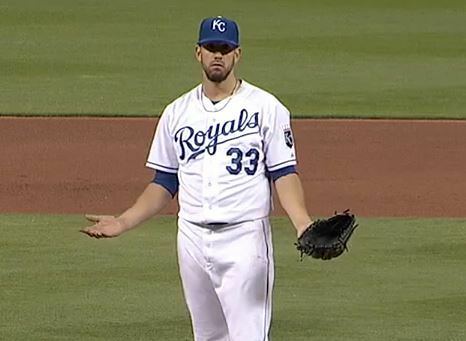 James Shields wants to get paid. At the onset of free agency he saw Jon Lester get a boat load of cash from the Cubs, and Max Scherzer was weighing deals North of $200M before signing one with the Nationals. Surely, Shields is not worth near that much, but when that kind of money is being thrown at pitchers, you become more desirable, in your own mind and your agents. 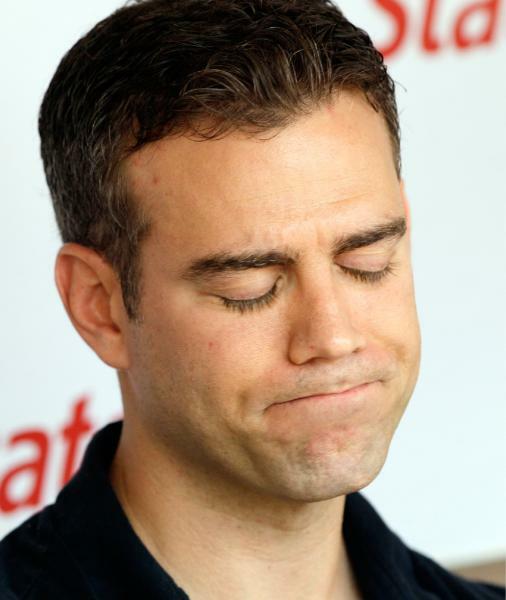 Then came the report from Ken Rosenthal that Shields turned down a deal for 5 years worth $110M, say what? One, I don’t think Shields would be foolish enough to turn that kind of a deal down, and two, I don’t think that deal ever existed. A report that came out yesterday confirmed just that, there was no mythical $100M+ deal on the table for Shields, well, it’s from Bob Nightengale so take that for what it’s worth. There are a myriad of reasons that Shield remains unsigned with under two weeks before camps open, money is one of the reasons why. The other one could be that he does have draft pick compensation tied to him, meaning any team that signs Shields before June 8th will have to forfeit a draft pick because Shields was given a qualifying offer by the Padres, that’s important but not something that would kill a deal. James Shields is from Newhall, CA which is just a scant 150 miles North of San Diego, that intrigues James. The last few days have shed light on the narrative that Shields wants to be on the West Coast close to his hometown, that would obviously favor the Padres, I mean I’m no Geography major, but I can use Google maps. The question is, how much does that matter to Shields? He has spent his whole career doing the exact opposite as he has pitched for Tampa Bay, and Kansas City. Not like he had a choice there I guess, he was drafted by the Rays and was traded to the Royals, but he does have the decision now. have said that the Cubs are still in on Shields, and that Maddon and Lester have been on the phone with Shields. I presume that these phone calls weren’t only about playing for the Cubs, but where the best pizza and beer is at. So, is James Shields good enough? Yes, he is a very good pitcher that has been very successful at the major league level, even earning the moniker “Big Game James.” However I’m not sold on Shields but think he does make the Cubs better immediately to the tune of maybe 3-5 wins above replacement. That kind of impact is not worth those kind of dollars, or years for that matter. To be clear, I have no issue with the Cubs spending that kind of money, they have plenty of it. My issue lies more with the fact that I do not think that Shields is worth that money, or commitment, either way it won’t handcuff Cubs moving forward. When it’s all said and done I think that Shields signs a 4 year deal worth around $65-$70 million, not with the Cubs. The situation is drawn out, but fluid, so things can change quickly. The Cubs Convention is over, and the brain trust of the Chicago Cubs is back to work. 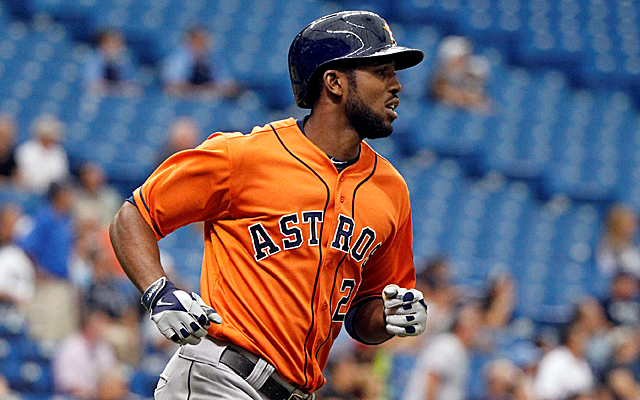 Earlier this morning the Cubs acquired Dexter Fowler from the Houston Astros for RHP Dan Straily, and bat flipping third baseman Luis Valbuena. It’s the latest in a string of moves this off-season that signal the Cubs are no longer the doormat of Major League baseball, and have turned the corner in their building process. Dan Straily was acquired from Oakland last year in the Jeff Samardzija deal, and Luis Valbuena was a waiver wire pickup. Theo and Jed were able to turn that into Dexter Fowler, who will be the everyday centerfielder for the Chicago Cubs, he might play some left field as well. Fowler is the prototypical lead-off man, the kind that Joe Maddon loves, and that the Cubs have been without for so very long. Fowler is an on base machine, .366 OBP for his career, and finished 2014 at a .375 clip. You know what you are going to get with Fowler, he puts the bat on the ball, and isn’t afraid to take a walk, 60+ walks is the norm for Fowler. This move opens up a number of possibilities for the Cubs heading into 2015. TIME FOR KRIS BRYANT!!! Well, not exactly. I know Cubs fans all over want to see Kris Bryant at third base opening night, I do too, but let’s be realistic. The Cubs have always pushed the service time issues with their prospects, and I doubt that the Cubs will fold now. However, if Bryant forces the Cubs hand with a solid Spring Training then he might end up starting the season on the Northside. Let’s just say that he doesn’t, and starts the season in Iowa, Bryant will be on the bleachers schedule, not ready for opening day, but spectacular when opened/called up. My best guess is that Mike Olt will be given every opportunity to start the season at third base. Olt is healthy, and has shown the ability to beat the crap out of the baseball, and play a better than average third base, so he’s the first choice. I could also see Arismendy Alcantara moving back to second base with newcomer Tommy La Stella, and Javier Baez moving to third. The important point here is that the Cubs have seemingly endless options with their every day lineup, something Joe Maddon is a wizard with, and I’m excited to see what he will do. Pitchers, and catchers report in less than a month, and the hype machine is already in overdrive. 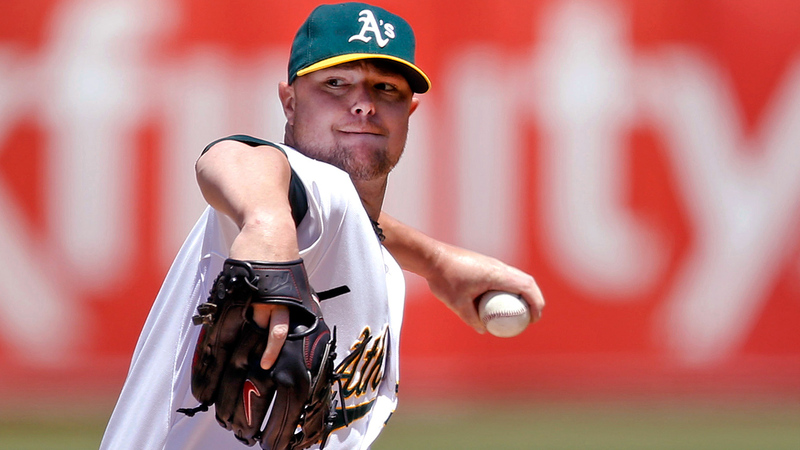 Lester Decision Looming, Down to Cubs and….Giants? Author bornonthirdcubsPosted on December 8, 2014 Categories Off SeasonTags Cubs Lester, Giants Lester, Jon Lester decisionLeave a comment on Lester Decision Looming, Down to Cubs and….Giants? The winter meetings are underway in San Diego, and the Cubs have made their first mid range addition to their pitching staff, and old friend, Jason Hammel. 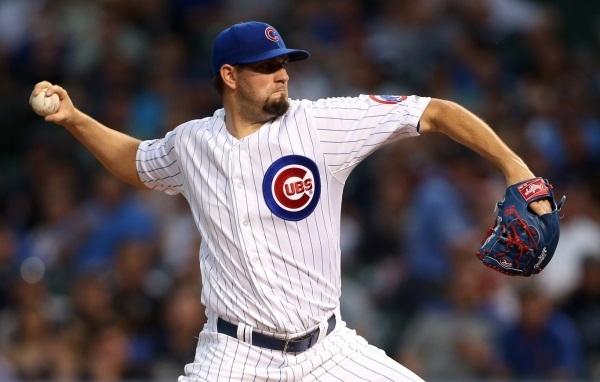 David Kaplan, and Chris Cotillo are both reporting that Hammel’s deal is two years in length, for a total of $18 million, the deal also includes an option for a third year. That is a tremendous deal for the Cubs, Hammel must have really liked it here, because that’s less than I thought he would get. As is everything this off-season, there are ties to Jon Lester here as well, Hammel pitched with Lester in Oakland to close out last year, the dominoes will start falling rapidly once Lester is signed, and that could be coming soon. 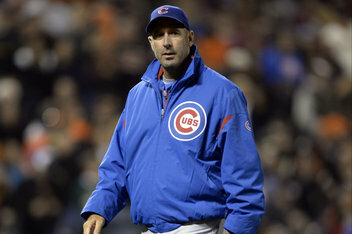 The Cubs officially fired Dale Sveum today as I speculated they would yesterday. Again, this isn’t so much about Sveum and the job he did but the Cubs thinking that the guy they want is becoming available. In a statement the Cubs said they would like to have a new manager in place by the November GM meetings, and have not had discussions with anyone as of yet. More as it comes.